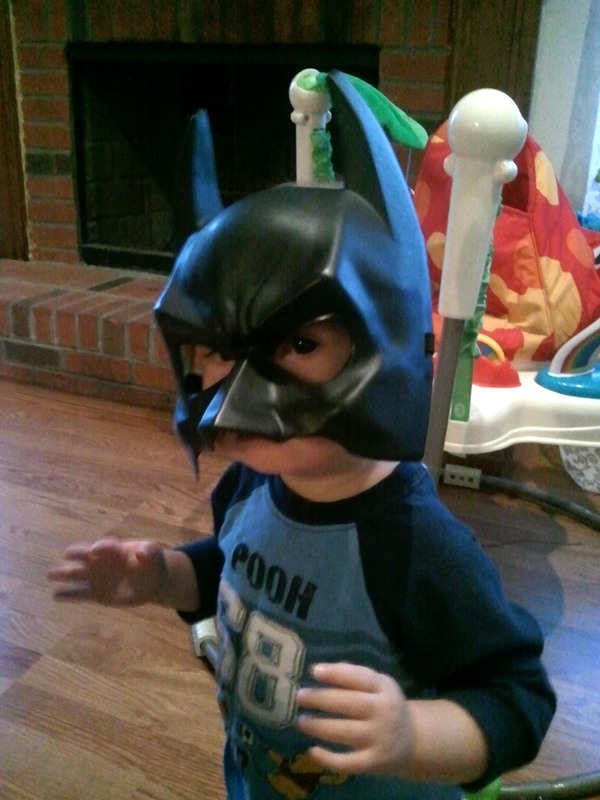 Desi loves to steal Noah’s Batman mask. Problem is you have to position is just right, or it stabs him in both eyes. None the less, he’ll badger you to put it on him constantly. He won’t go for a Robin mask? No respectable man ever would. Nightwing became Batman, but he did start out as Robin.